Do you want to get a flood of new leads using Facebook? In this series of article, we are exploring how to get more clients using Facebook. Today I want to share with you STRATEGY #2. The Ask Method is incredibly powerful, and it is designed to help you test how your audience would respond to an offer even before you spend time and effort creating it. On top of that, if the offer works, it will also give you a flood of new leads you can follow up with. 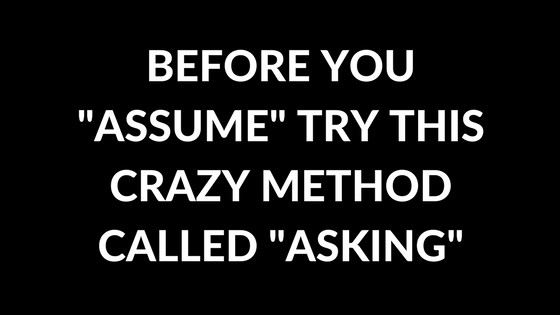 The reason why it’s called The Ask Method is that the only thing you do is ask a question. For example, this is how me and my clients use it. I would log on Facebook and ask a question on my wall and in my groups. – Who here would be interested in a program where I will teach how to you can create, market and sell your signature program in only days? – I am planning to create a program where I can help you create your ideal body in 90 days. Anyone interested? – I am working on a program to help you find your soulmate and release the blockages preventing you from attracting the partner you actually want. If you are interested, send me a PM. It’s time to test The Ask Method in your business. I am curious to hear how this goes, so please leave me a comment and let me know what you think about this strategy or if what challenges are you facing in the implementation.